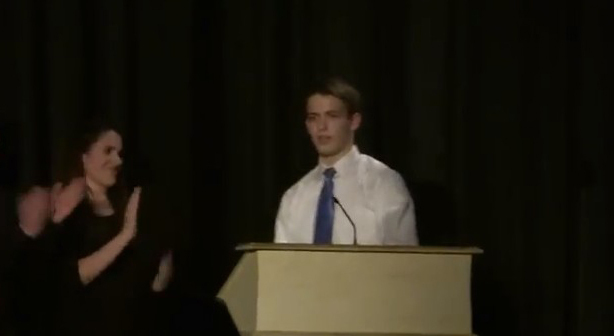 A New Jersey teenager has used an acceptance speech to announce to his entire school that he is gay. Whilst accepting the ‘Class Actor’ award during a ceremony for senior students at his high school in Parsippany, New Jersey, Jacob Rudolph announces he was gay to his entire graduating class as well as parents and teachers. Watch his acceptance speech after the jump.